Matthews Real Estate Investment Services™, the nation’s fastest-growing commercial real estate firm, today announced the $28.3 million sale of The Village at Mammoth, a 57,925 square-foot ground floor retail space located at the base of the popular California ski resort, Mammoth Mountain. The transaction, led by Bill Pedersen, Senior Associate and El Warner, National Director & EVP of Matthews™ Shopping Center Division marks the highest sale price ever recorded for a commercial property in Mammoth Lakes, according to CoStar. This recording-breaking transaction further confirms the strength of e-commerce-proof retail centers in secondary and tertiary markets across the country. The buyer, an undisclosed private investor, is an avid skier with an affinity for Mammoth and was in the process of a 1031 exchange. “We were successful because of our ability to attract multiple buyers who see the value of this type of asset and were willing to pay a premium to own property with a captive consumer audience that will always hold value,” said Pedersen. Built in 1999, The Village at Mammoth is an experience-oriented retail location with a curated lineup of shops and restaurants attracting over 2.8 million visitors annually. 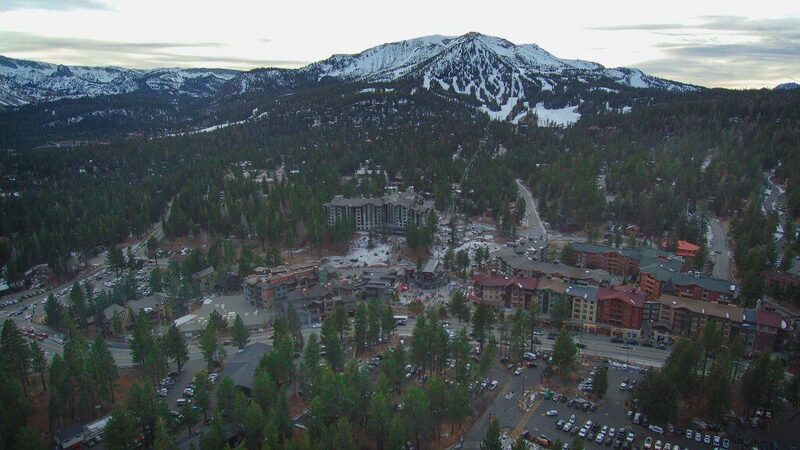 Mammoth Mountain is also home to one of the longest ski seasons in North America, making The Village at Mammoth one of the most visited destination centers on the West Coast. “As we enter into what is expected to be one of the best ski seasons in recent history, we are pleased to have helped identify a buyer who appreciates the opportunity to own an insulated, highly trafficked retail center in an iconic location such as the base of Mammoth,” said Warner. As a full-service commercial real estate company, Matthews™ prides itself on the unwavering commitment to serving their client’s best interest. With competitive marketing technology and expansive global database, Matthews™ has earned a reputation for excellence in execution and has closed over $13 billion in transaction volume. For more information, please visit www.matthews.com.